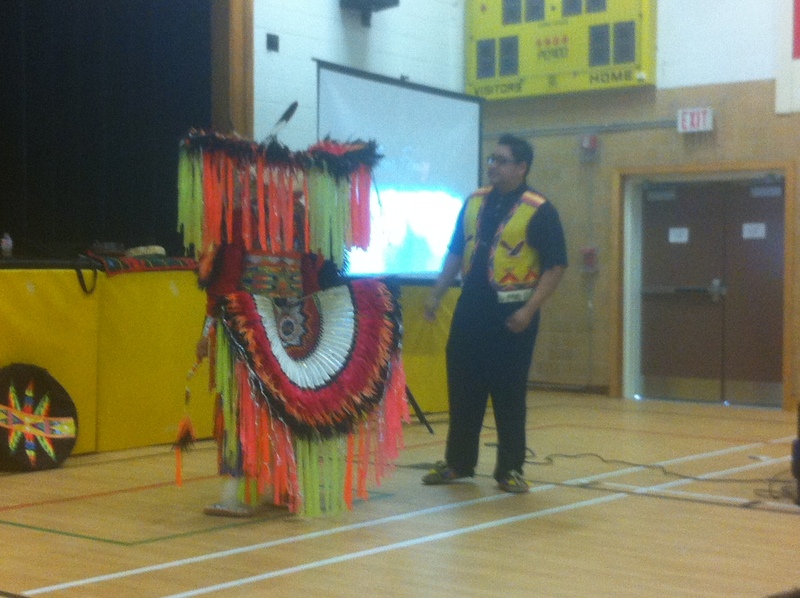 The head dress worn by male dancers is called a Wapasha. Their dance clothes are hand made by family members and have lots of feathers from eagles and turkeys as well as lots of beads. Women wear a shall when they dance. 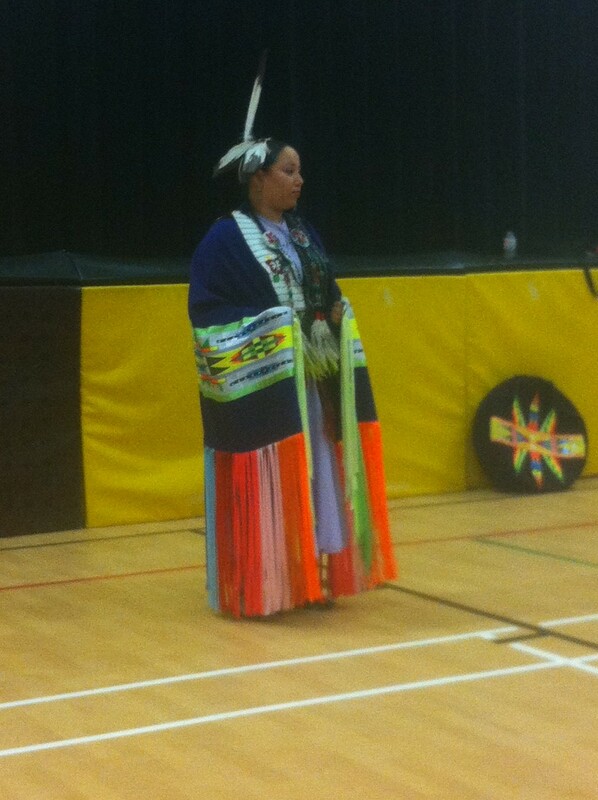 There are different dances like the Men’s Fancy, the Women’s Fancy, the Jingle Dress dance, and the Hoop dance. We heard a story about Turtle Island which is a story about how North America was created. There are over 500 tribes of First Nations in North America. 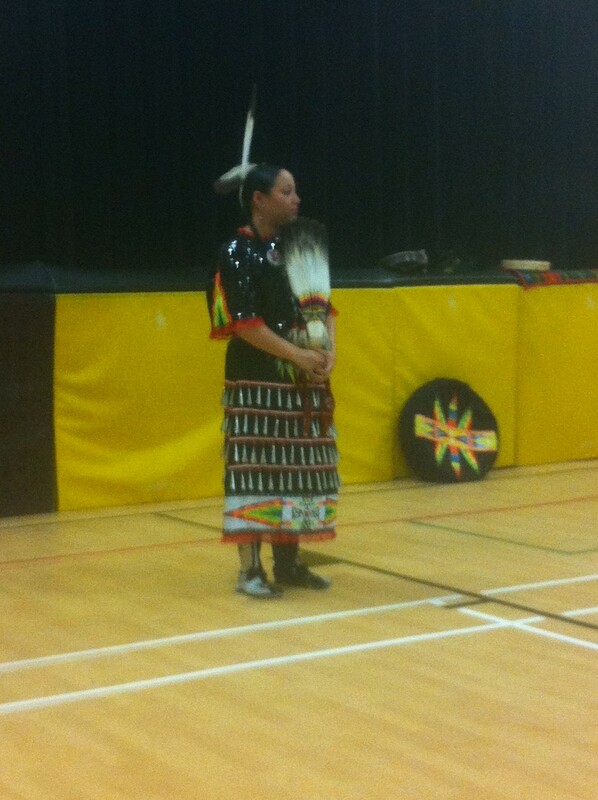 First Nations living in the North sing high. First Nations living in the south sing low. Drums made of caribou, elk, moose, bear, buffalo, or deer skin. the kind of skin they use depends where they live. 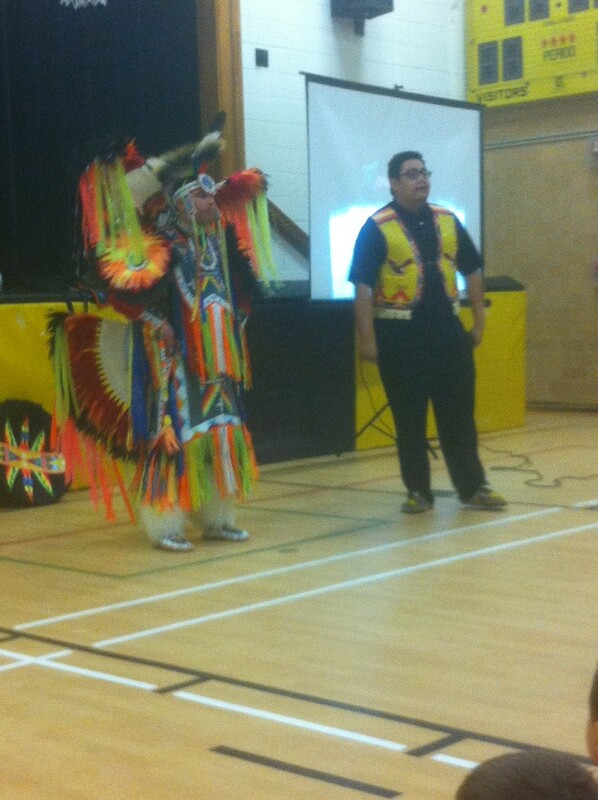 The First Nations people believe that drums have a spirit. They take care of their drums as if they are alive. What a great event! Which I could have been there and all our students were such great ambassadors for our school. You did us proud and had a great time too!